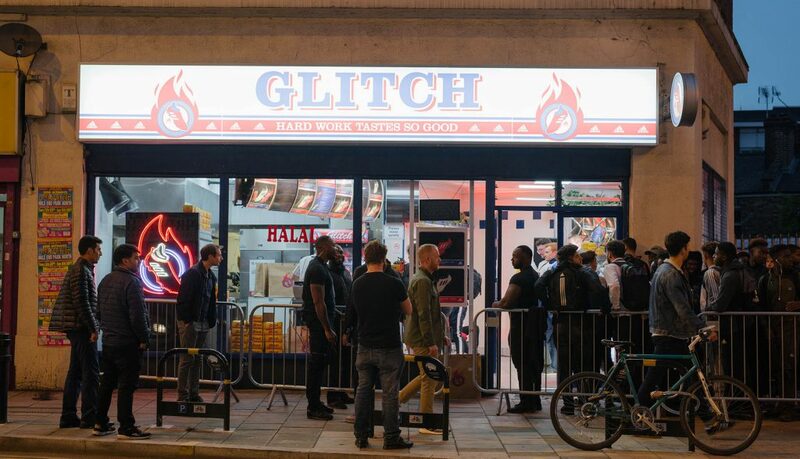 This week adidas shut down a chicken shop in Hackney to celebrate the launch of their new Glitch boots. 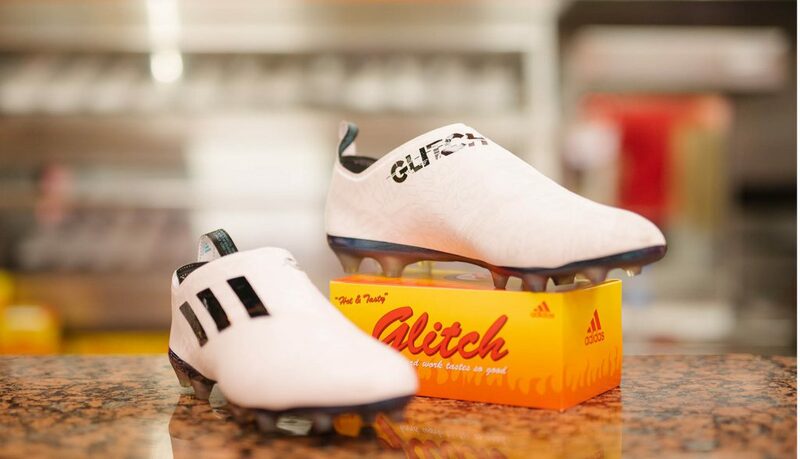 Fans queued up at ‘Glitch’ takeaway to get their hands on the new boots which were served out of specially designed chicken box style packaging. The boots were served up for free to customers by staff dressed in Glitch staff uniform. 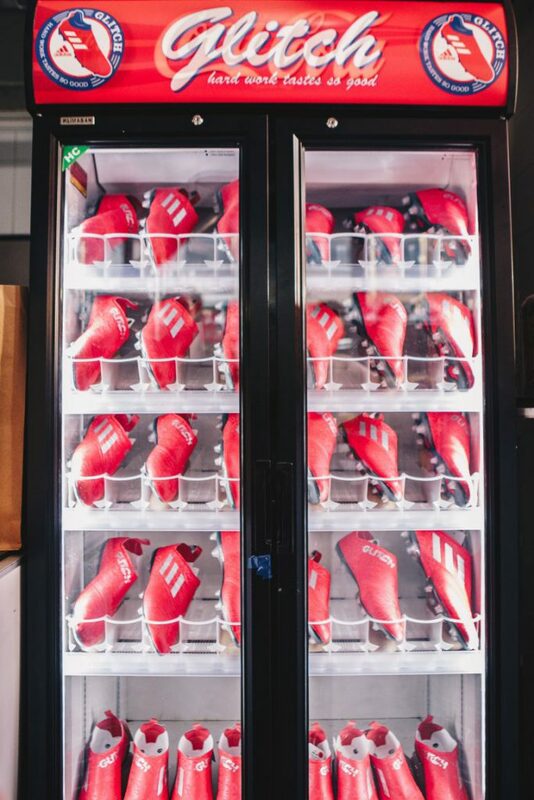 Re-branding the entire shop for a takeaway takeover, adidas served up the boots in specially designed chicken box style packaging. The evening also featured a performance from rapper Headie One. A creative and innovative takeover by Iris. 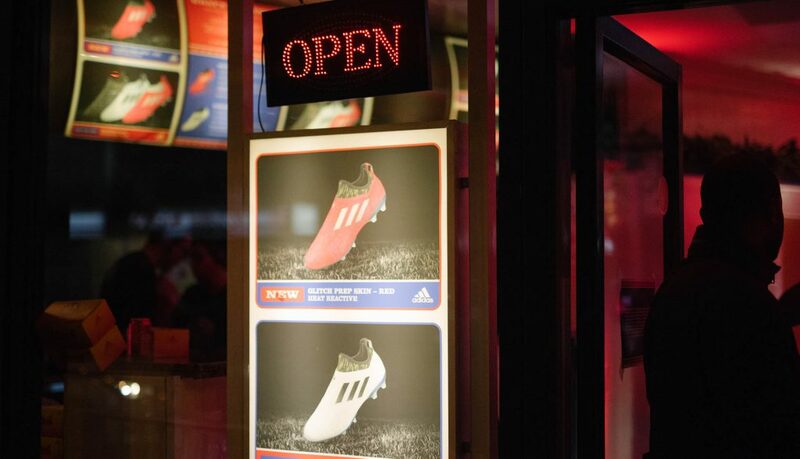 Fast food outlets are the de rigeur vehicle for fashion and sport brands wanting to reach a street smart audience. Earlier this month Diesel signed a brand partnership deal with a kebab shop.